Secret Ingredient Chocolate Chip Cookie Crispers and General Mills Trip Re-cap! You all are going to think I’m nuts, but hear me out on this one… I thought it would be fun to try adding Panko bread crumbs in my chocolate chip cookies the other day and let me tell you, it makes for a fun crisp in your cookie! I was pleasantly surprised and my oldest son said it was one of his favorite cookies. The crispiness of the Panko is subtle, but still has you thinking, “hmmm what is that crisp?” Before you start booing me, give it a try, I think you’ll like it, we totally did! 1. Preheat oven to 350 degrees F. Place butter and sugars into electric or stand mixer and beat until well combined. Beat in eggs and vanilla until well combined. 2. Place flour, panko, baking soda and salt into a large bowl. Mix to combine. Slowly add to wet ingredients along with chocolate chips on low speed until just combined. Scoop onto a parchment or silpat lined baking sheet with a medium cookie scoop. Bake for 9-11 minutes or until edges just start to turn brown. Remove from oven and let cool on baking sheet for 5 minutes before transfering to a cooling rack. 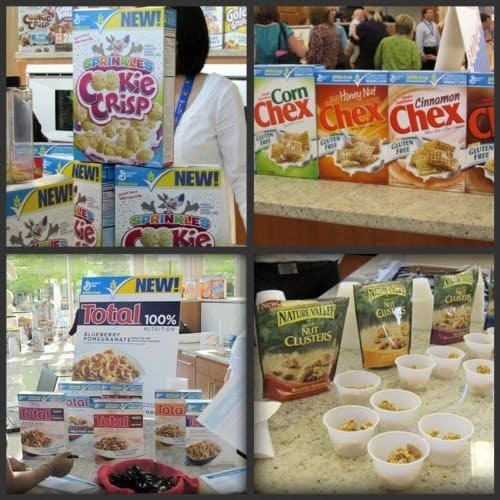 What an honor it was to be invited to the General Mills Bloggers event last Wednesday/Thursday in MN! 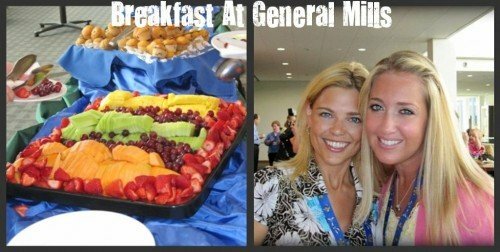 There were 50 foodie and mommy savin’ bloggers from all over the country that gathered together for 2 fun filled days at the General Mills Headquarters. I was thrilled to meet the famous “Bakerella” who I’ve been a fan since she started. She is as beautiful and sweet as her blog, that’s for sure! The following pictures are some of the highlights of my trip, hope you enjoy! 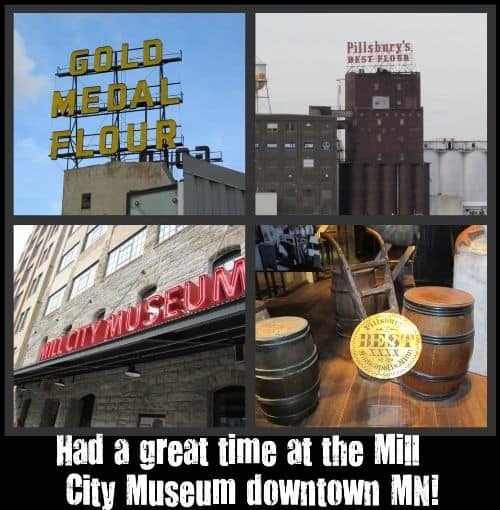 Wednesday night we met for dinner and a museum tour of the Mill City Museum in beautiful downtown MN. 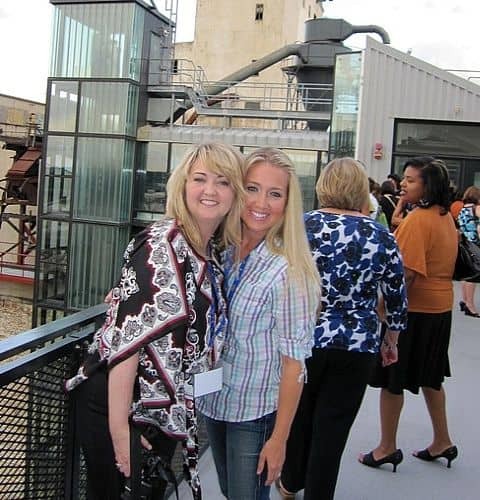 There were great flour mill history tours and facinating exhibits with gorgeous views from on top of the building. Bakerella and I snapping pics with the Pancakes! 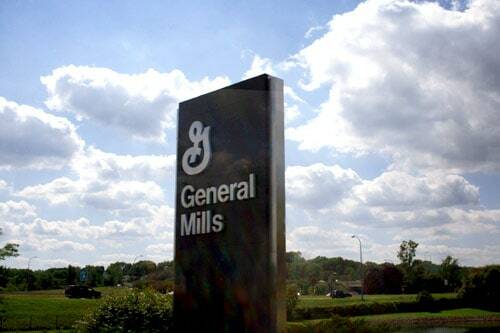 Thursday morning we had our bags packed and met at the General Mills facility for breakfast. 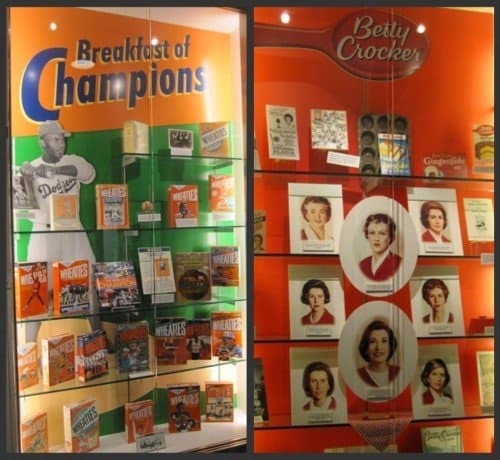 As you walk down their halls they had beautiful displays of their products throughout the years. It was also so much fun to meet the beautiful Megan of Megan’s Munchies who is adorable and has a fabulous blog. For breakfast we had beautiful fruit, muffins and a medley of quiche. 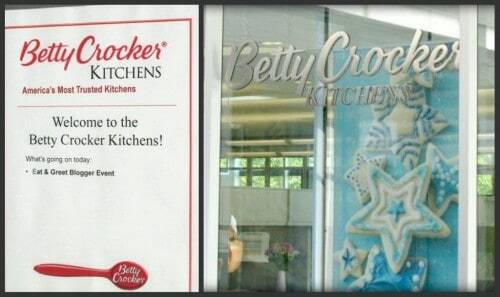 Some shots right before we headed into the Betty Crocker Kitchens. 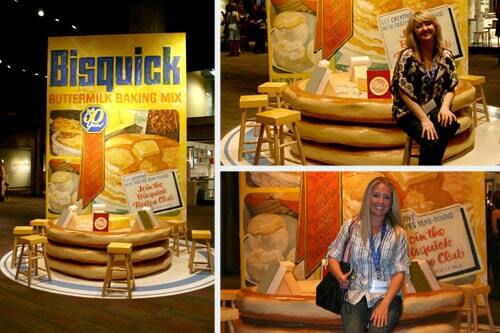 Talk about every foodies’ dream! 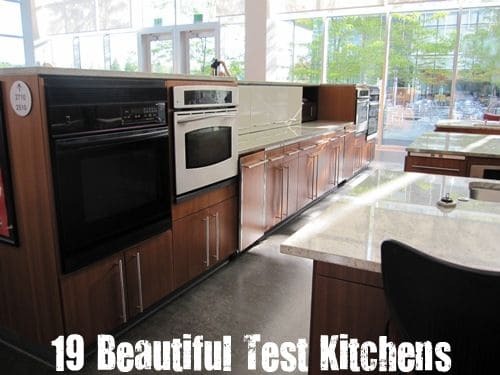 After breakfast we were let loose into the test kitchens where they had dozens of vendors sampling new General Mills products. We all ate until we were busting at the seams! It was really fun. 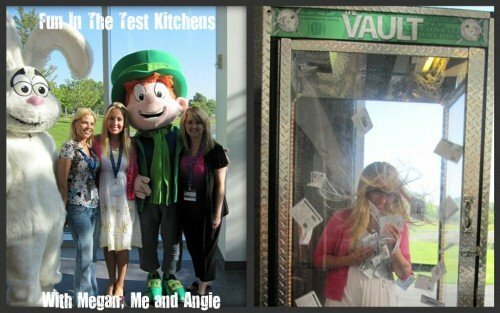 Had to get some pics with the Trix bunny and Lucky Charms Leprechaun! They also had this Coupon Vault with hundreds of Box Top coupons inside. I had a dress on, so it was a bit difficult trying to hold my dress down and grab coupons! I did pretty well though! Bakerella, Me and Megan with half of bunny and leprechaun, bunny was giving me bunny ears! 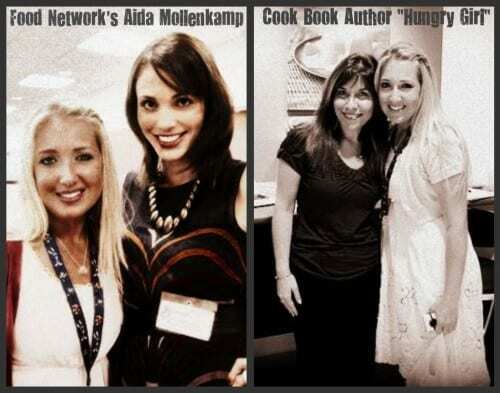 Got to snap some pics with Aida Mollenkamp from Food Network’s “Ask Aida” She is so tall and beautiful. Hungry Girl was also at the event and was kind enough to let us snap pics with her. The highlight of the trip was by far getting to tour the General Mills photography studios. It was amazing. Down their halls they had beautiful artwork made from Gen Mills products. My favorite was the top right picture. Guess what the bag is made out of?…..Fruit Roll Ups! Isn’t that awesome! We got to chat with the photographers at lunch and pick their brains a little. It really was an awesome opportunity and we had such a great time. THANKS GENERAL MILLS!! Sorry for the novel post today, but thought it would be fun to share my trip. Have a great week!! See you all soon! Looks like an amazing time! Congrats on getting to go!! Wow, Jenny! Your trip looked amazing! I think the cookies sound great, too. My mom makes potato chip cookies, and you can’t taste the chips, they just give it a light and airy crunch. First of all the your cookies sound strange and great all at the same time! I love a little crisp ~ fun idea! Second, how fun the General Mills Trip sounds! You girls all look super cute and it looks like a great place! Panko breadcrumbs in chocolate chip cookies; I’ll have to try it! Glad I found your blog through Bakerella… looks like such an interesting trip! 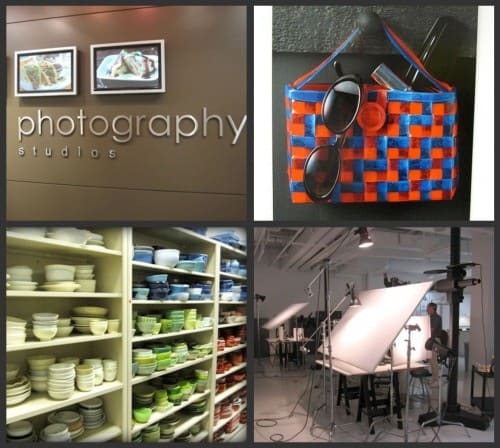 I’m in envy of the General Mills stock shelves and photography studio! Panko breadcrumbs? Hmmm, sounds interesting, but looks delicious. 🙂 The pictures look like you had to much fun. Wow, Aida is tall! What a fun trip! Those chocolate chip cookies look delicious! You’ve got me curious about the panko! Cool idea. what a wonderful experience. I’m sure you picked up a lot of great tips and got some wonderful inspirations. thanks for sharing. of course the cookies lot mouth watering too! 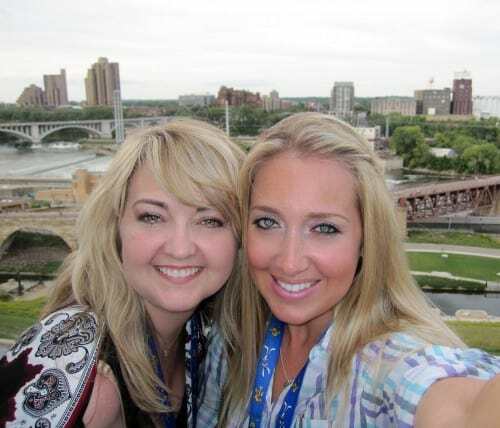 So I’m thinking great foodie bloggers have to be blond. lol The cookies definitely sound worth a try… we LOVE Panko around here…of course I’ll have to make sure I don’t grab the Italian seasoned ones. I always send my experiments to my hubby’s office…this could be fun. What a fun opportunity. Congratulations! How fun! Thanks for sharing all of your photos! Love the secret ingredient too! So cool that you got to meet Bakerella! I absolutely love her blog! And thanks for the CC cookie recipe. 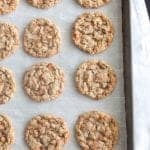 I am always looking for new cookie recipes to try. I just came across your blog and I wanted to tell you that I absolutely adore it. I just printed about six recipes that I’ll be cookin’ up sometime soon. Looking forward to future recipes! What a fabulous trip! I am intrigued by the addition of panko bread crumbs to cookies now… gonna have to try this one out! That’s a new twist using the Panko. Both of ya’ll are beautiful. Looks like a lot of fun. What a clever twist on an old favorite! I’m going to have to put that on my list of must-try ingredients! Thanks! What a fantastic trip and experience. Thanks for sharing it with us. And the panko crumbs in a cookie…now that’s a different idea. How amazing! That’s so great you got to experience that and are amongst the “famous bloggers”! Congrats. And the cookies look GREAT! 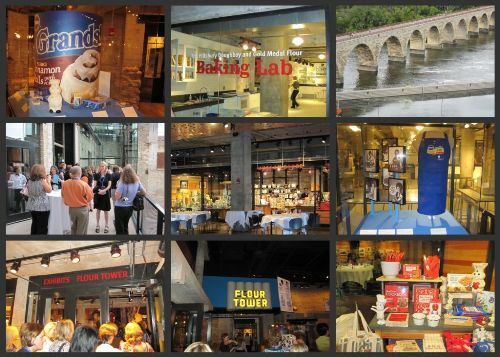 Found your blog through Bakerella and loved your photos of the General Mills tour. Also had to try your Panko cookie recipe last night. The panko does give the cookie an interesting crunch. Thanks for the idea. so your trip seems AMAZING!!! I have to ask where are you located?? LOVE YOUR BLOG! Just discovered it and wish I had sooner! I am making it my mission this next week to make one of your recipes daily!! I have no doubt my family will Thank you! What a great post! I love the pictures. It was so great to meet you and I can’t wait to be a new stalker (I mean fan) of your site! That trip sounds like SO MUCH FUN!!! I have my fingers (and toes) crossed that someday, I’ll get to go, too! Thanks for sharing your pictures! hi there, i found you from the bakarella’s blog, looks like you guys had a wonderful trip to gm! lucky girls! loved looking at your photo’s.. and the chocolate chip cookies yum LOVE them! Tried the cookies today and had to leave a comment–fun! They have just enough crunch! 🙂 Thanks for the fun idea! And, I loved the pictures of your adventures! 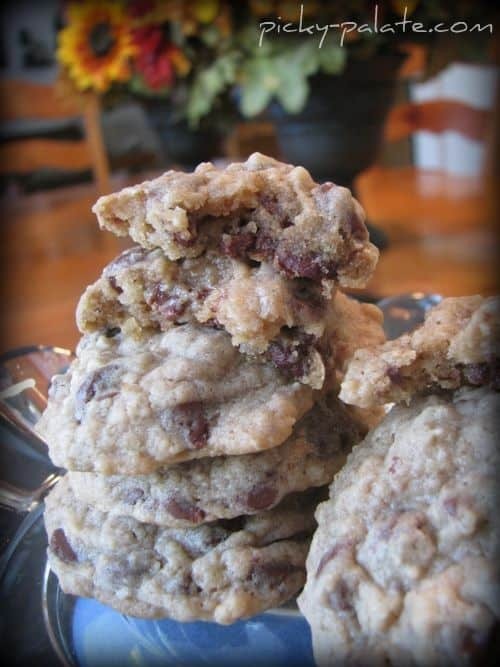 I just took part in a search for finding the best chocolate chip cookie recipe and I thought you would like to know your cookies came in a close second place!! 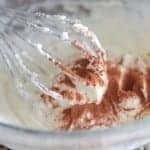 I never would have used breadcrumbs in cookies, but this secret ingredient did the trick.. these crispers are delectable!! Congrats on an award winning recipe-(P.S. these are best on the first day!! I find a excellent improvement in your publishing, I would like to have in touch. Maintain the wonderful do the job! Your writing is extremely motivational for someone who is a new comer to this type of information. Hi darling how many cups or how heavy is 1 bag of chocolate chip cookies? =D Can’t wait to try this out! Thanks for such a wonderful post and the examine, I’m totally impressed! Maintain stuff like this coming. We’re a bunch of volunteers and opening a new scheme in our community. Your site provided us with helpful info to work on. 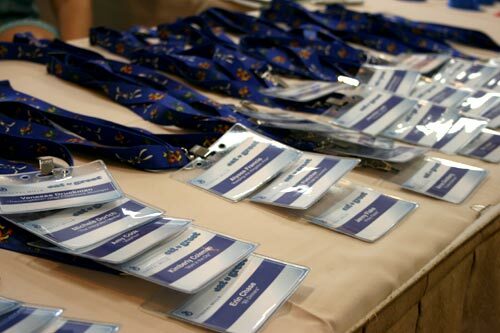 You’ve done an impressive process and our entire group will likely be grateful to you.